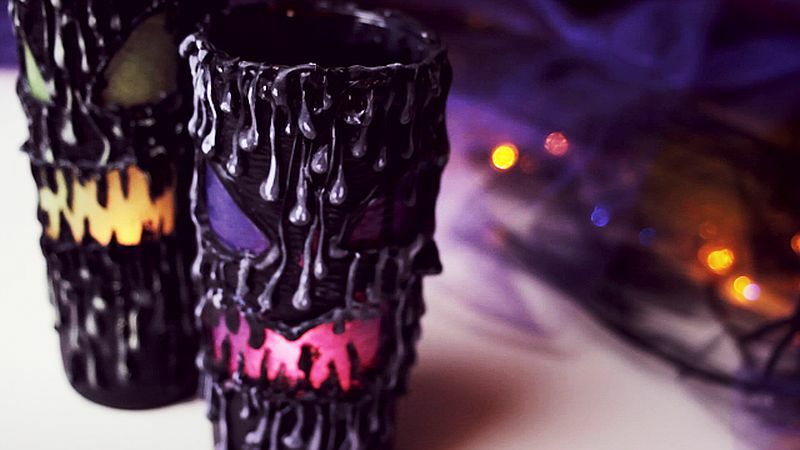 13 Creepy DIY Halloween Candle Ideas for an Eerily Radiant Holiday! 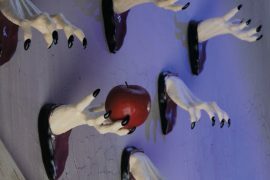 Halloween is all about playing up the spooky even while you have loads of fun and maybe steal some candy from your kids. 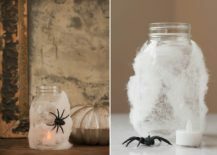 But there are times when you want something truly creepy to give your Halloween decorating that much needed ‘oomph factor’ even while keeping things as uncomplicated and simple as possible. 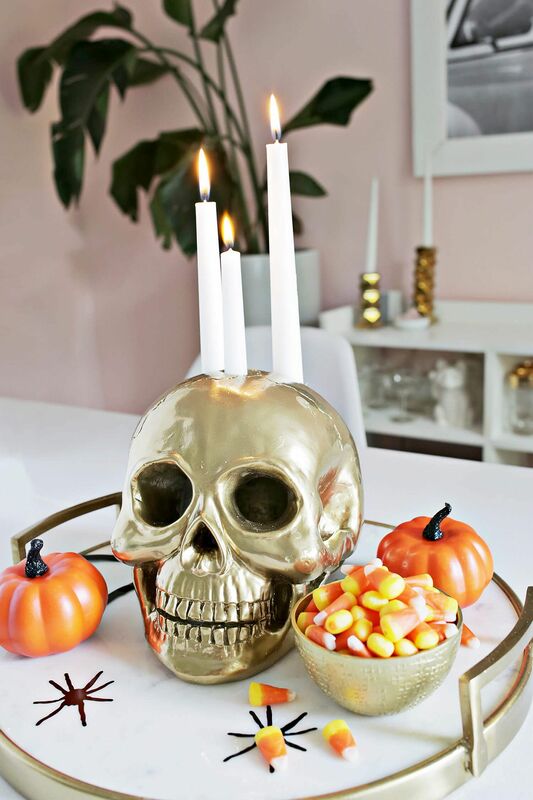 It is all about a scary centerpiece that is not too demanding on your time or your pocket. 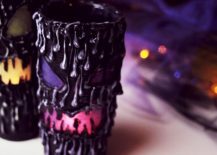 Well, if you are hunting for such an eerie centerpiece then you are in absolute luck as we have today, a unique collection of scary DIY Halloween candles and candle holders for you! 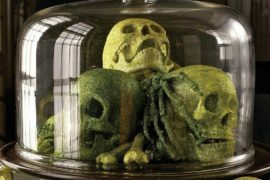 For something that we carry around all the time on our necks, skulls are surprisingly scary when you actually come across one! 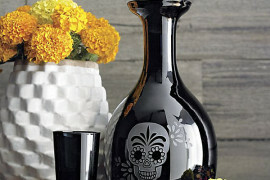 And few Halloween decorations make as much visual impact as the sight of skull neatly placed on the window sill, front porch or even the specially decorated dinner table. 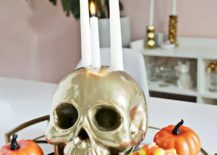 It is time to take this chilling effect to a whole new level with DIY Halloween candle holders that eulogize the human skull. 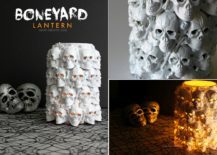 The DIY Boneyard Lantern is our personal favorite as it feels like a lighting fixture crafted in the dark depths of hell; a masterpiece that will have everyone talking. DIY Boneyard Lantern steals the show in its own chilling way! 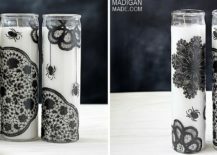 A multiple skull candle holder with one stacked on top of the other ever so neatly is much more prominent than a design that features a single skull! 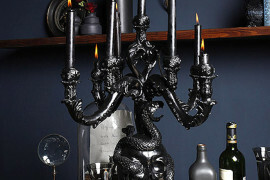 It also gives your candle holder more height and stands tall at the center of your Halloween table or on the edge of the fireplace mantel with plenty of unnerving pomp. 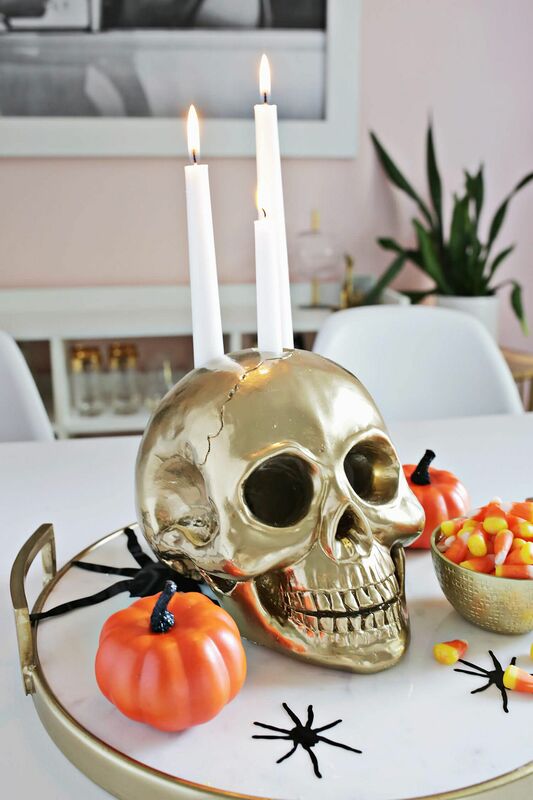 Finally there is the DIY skull candle holder in gold that is flashy, more chic and an addition that brings surprising brightness to the tablescape. 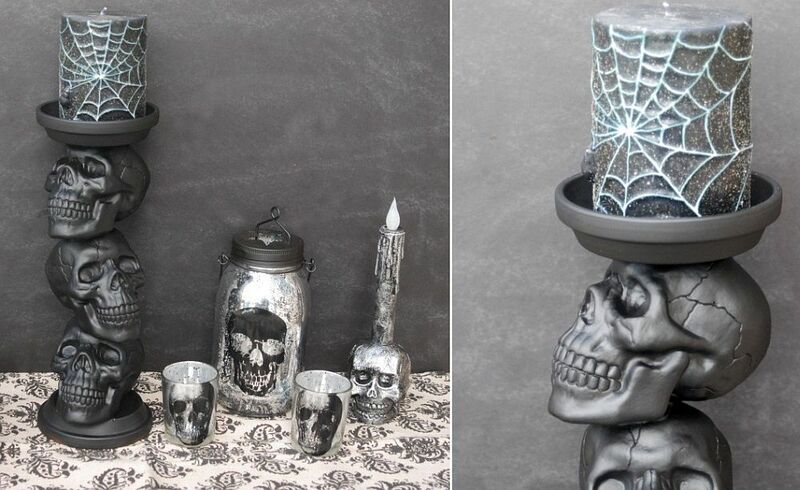 Awesome DIY Skull candle Holder should give your guests the Spooks! 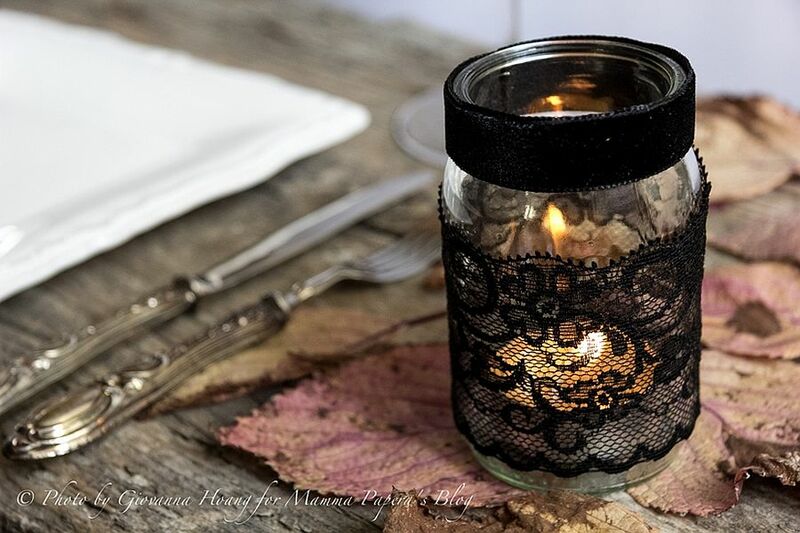 Okay, so you do not have a ton of time on your hands and there are more pressing issues than creating cool candles for the Halloween dinner table. 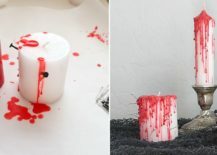 Try out something as simple and yet visually impressive as the bleeding Halloween candle DIY. 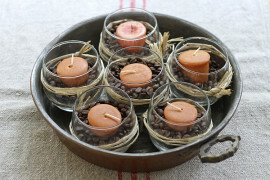 It takes absolutely no time, pretty much anyone can craft these and they definitely make a lasting impression. 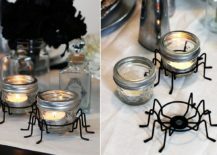 The DIY Mason Jar Spider Votives also require very little in terms of actual work and they can also be used beyond Halloween with a couple of minor changes while chic DIY Lanterns wrapped in your own version of the spider web are equally striking and adaptable. 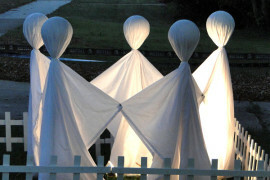 DIY scary Halloween lantern is anything but mundane! 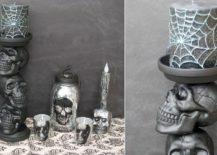 Time to dress up those plain white candles in something much scarier and these understated pieces are perfect if you want to embrace the theme of Halloween without going overboard. 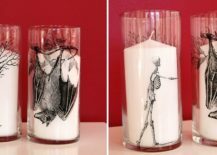 Simple motifs that you can download from the internet or even a hand-drawn image of your own can be easily translated on to the candle using wax paper, tissue paper, a few colored pencils and a blow-dryer. 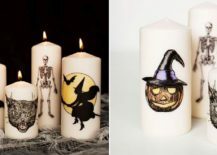 Simply Wicked also offers an artistic way in which you can dress up your Halloween candles and you can always improvise to add additional layers of creepy. 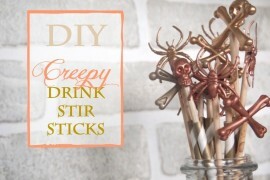 RELATED: DIY Chic & Creepy Halloween Drink Stir Sticks! Not into all the skulls, bones, spiders and witch hats? 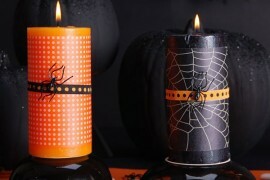 Not to worry ae we have a couple of cool Halloween candles that will look equally good on your Thanksgiving table as well. 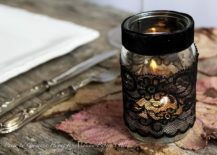 Just wrap your glass or Mason jar candles in black lace and they look perfect on the modern Halloween-themed dinner table. 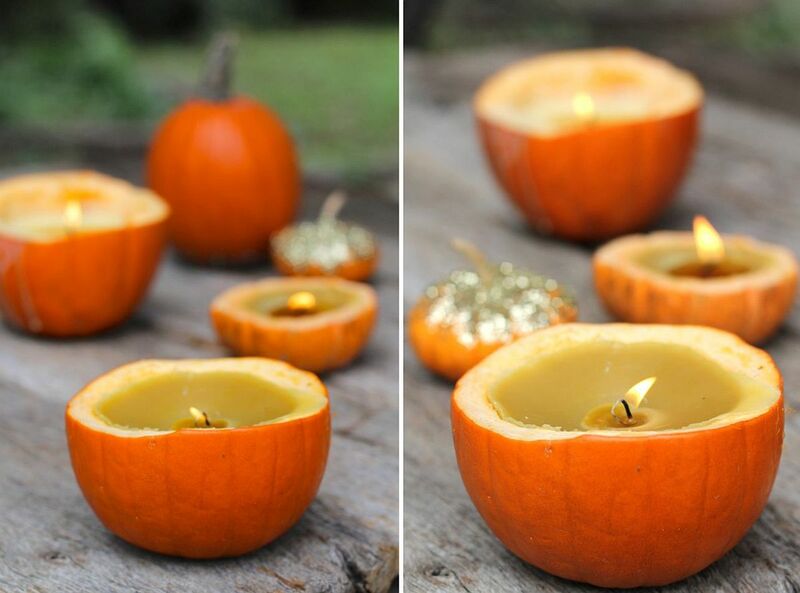 If that feels a touch too modern and you would prefer a rustic idea for the outdoors, then Halloween Pumpkin Candles DIY is the way to go. 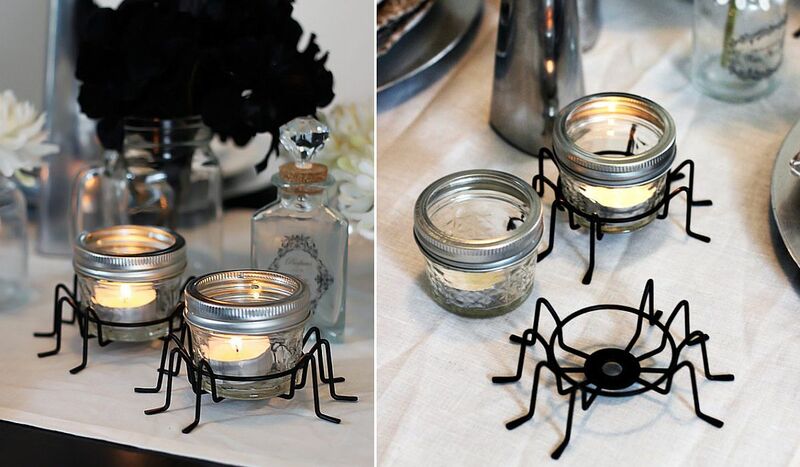 RELATED: DIY Halloween Decorations: Spooky Spider Web And A Giant Spider! 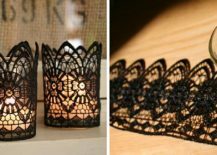 As you get ready for Halloween, make sure you have lighting that matches the charm of the decorative pieces in your home. 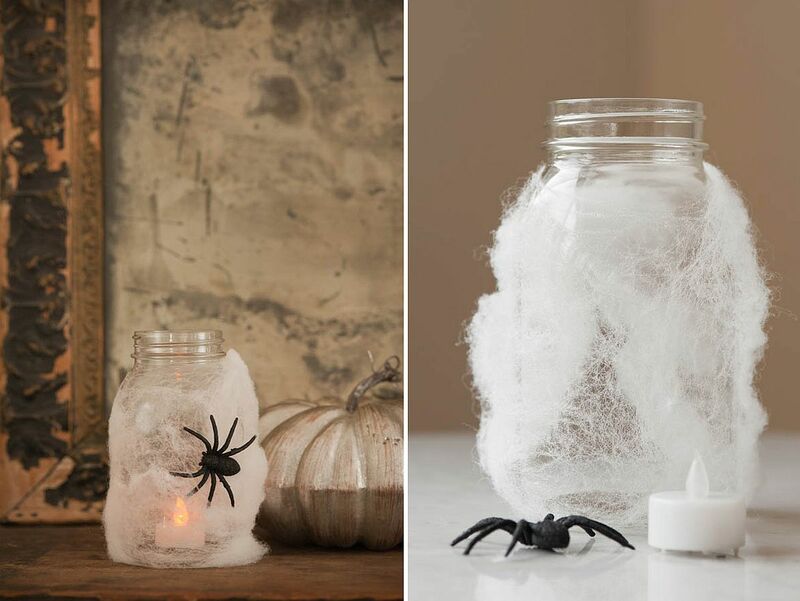 You can even get the kids involved in some of the Halloween DIYS for a more fun time.